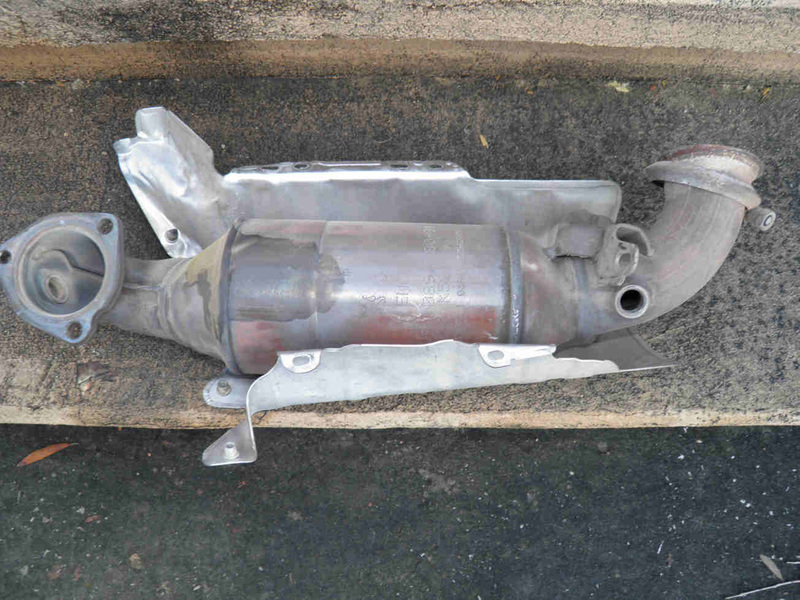 The below is needed for replacing the catalytic converter and for removing the turbo. You may also visit our page for plugged cat diagnostics. 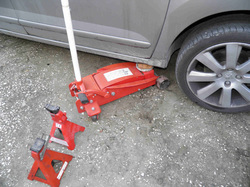 A specific tool exists for the exhaust clamps, but you an manage with large retaining ring pliers. 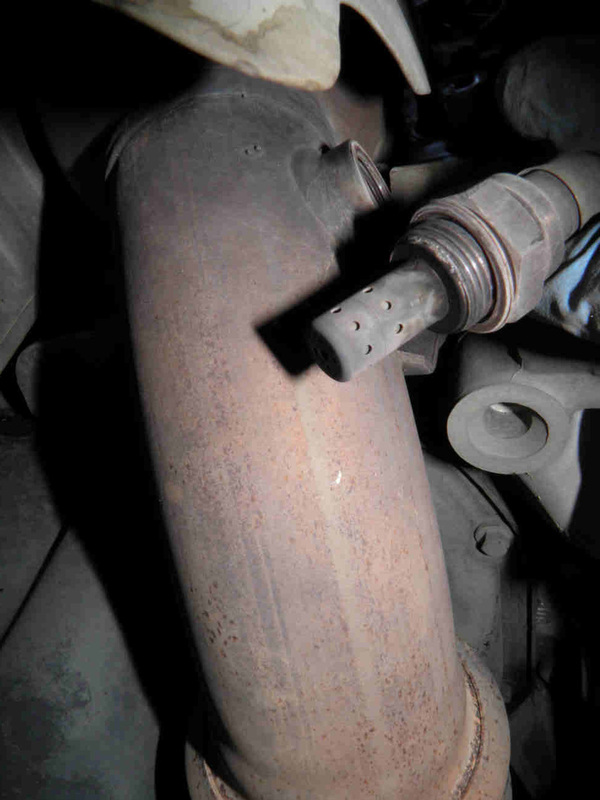 Make sure to pay a good attention to the radiator, not to damage its fins while working on the exhaust. You may fix a temporary carton board panel. 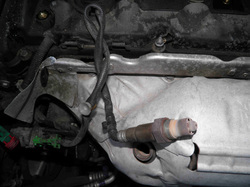 Do not intervene unless the engine is completely cold. 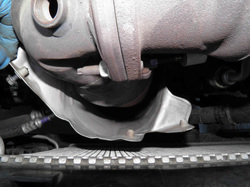 Same or similar engine and turbos can be found on Peugeot 207, 208, 308, 508, 3008, 5008 and Citroen C4, C4 Sedan, DS3, DS4, DS5 also the Mini Cooper S. The works remain similar to almost any catalytic converter mounted in the front of the vehicle between engine and radiator. 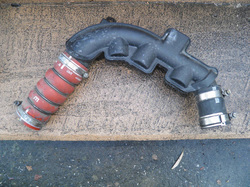 1- If your vehicle is equipped with a turbo, start by removing the air hose between the turbo and inter-cooler. 4- Unscrew the top part of the thermal shield and remove it. Be careful not to damage the radiator. 7- Unscrew and remove the lower part of the main thermal shield. 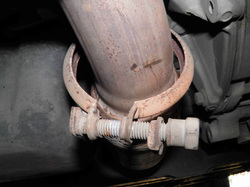 You might not be able to extract it yet, leave it hanging on the catalytic converter. 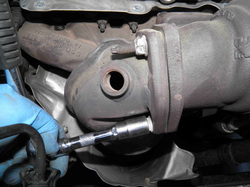 10- Unscrew the O2 sensor and lower bolt that holds the converter against the engine block. 13- ...hold the converter down to the ground (do not drop it!) and extract it from beneath the vehicle. 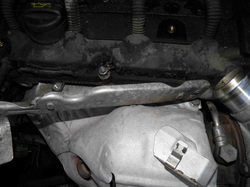 2- Unscrew the air mixture sensor with a flat spanner size 22. It is better to use however the specific grooved socket size 22. 5- it is now time to lift the vehicle. 8- Remove the screws that hold the converter to the turbo. 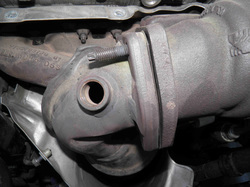 11- Unscrew and open the connecting clamp (collar) to the exhaust line. A specific tool exists but you can manage without it. Use long nose pliers and a big slotted screwdriver instead. 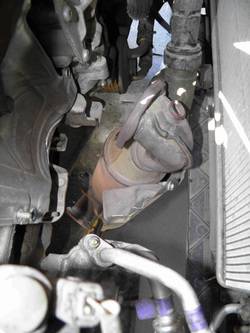 14- Proceed to the turbo replacement if this was the purpose of your intervention or replace the converter with a new one and reverse the above steps. 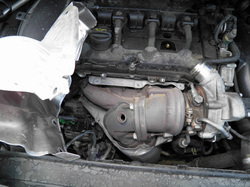 It is mandatory to replace the gasket between converter and turbo. 3- Unclip and remove small thermal shields that hide or mount on top of the main shield. 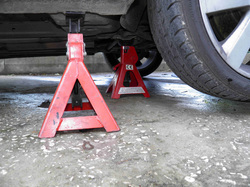 6- Use two jacks on each side for safety. Keep the wheels. 9- Keep one of them, the one with the easiest reach.